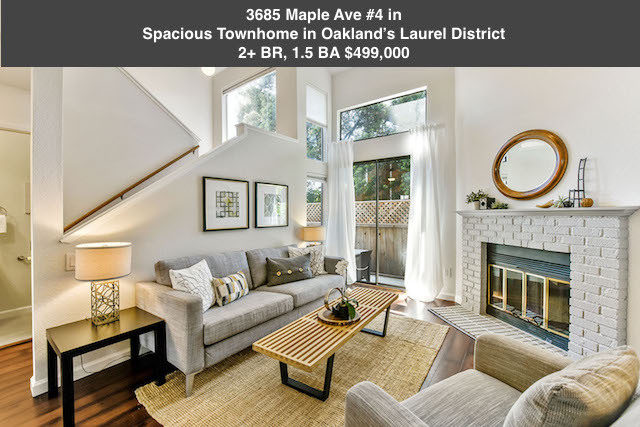 3685 Maple Ave #4 is a charming townhouse located in the heart of Oakland’s Laurel District. A perfect floor-plan with spacious rooms and high vaulted ceilings gives a wonderful open feel. The unit really shows like a 3 bedroom or is perfect as a 2 bedroom plus an office. With a WalkScore.com rating of 77 you’ll find the area “very walkable”.